When you bought that boat, you probably pictured yourself spending lazy weekends on it, using it all summer long to relax and entertain your friends and family. Perhaps what you didn’t consider was where you would store it when you weren’t using it. In the Highland area, boats and RVs cannot be parked on the street and most garages are not big enough to store boats. Therefore, many boat owners find themselves looking for storage options. Vines Storage was converted from a warehouse to offer various storage options for cars, boats, and recreational vehicles. Their various storage options mean that owners of all makes and models of boats and watercraft can find the storage solution for their needs. For example, for the consumer who is most concerned about cost, outdoor storage options offer easy accessibility for loading or unloading in a location that is safe and secure. In addition, the storage spaces are large enough that you can store your related watercraft items with your boat, or you can rent side-by-side spaces for your boat and RV. If you want to protect your boat from the elements as well as storing it in a safe location, the indoor space might be the right solution. Indoor storage ensures that your boat remains dry, out of the elements, and away from dust, dirt, and debris that can cause damage. Additionally, indoor storage helps ensure that pests and rodents stay away from your boat and that it’s held in a climate-controlled environment. A dry, even temperature helps keep your fabric from cracking and mold from growing. There are benefits to both indoor and outdoor storage for your boat and recreational vehicle. Our experienced staff can help you determine what is best for your situation and offer tips to ensure that your boat remains in tip-top shape. Whether you choose outdoor or indoor storage, rest assured that our entire facility is safe and secure, with 32 cameras providing 24-hour surveillance. Additionally, we offer amenities such as ice and allowing customers to rinse salt and sand from their boat before they store it. 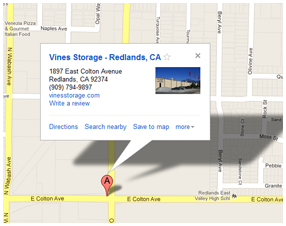 For more information about storing your boat, call Vines Storage today.